Interior design of a small [40sqm] Loft. 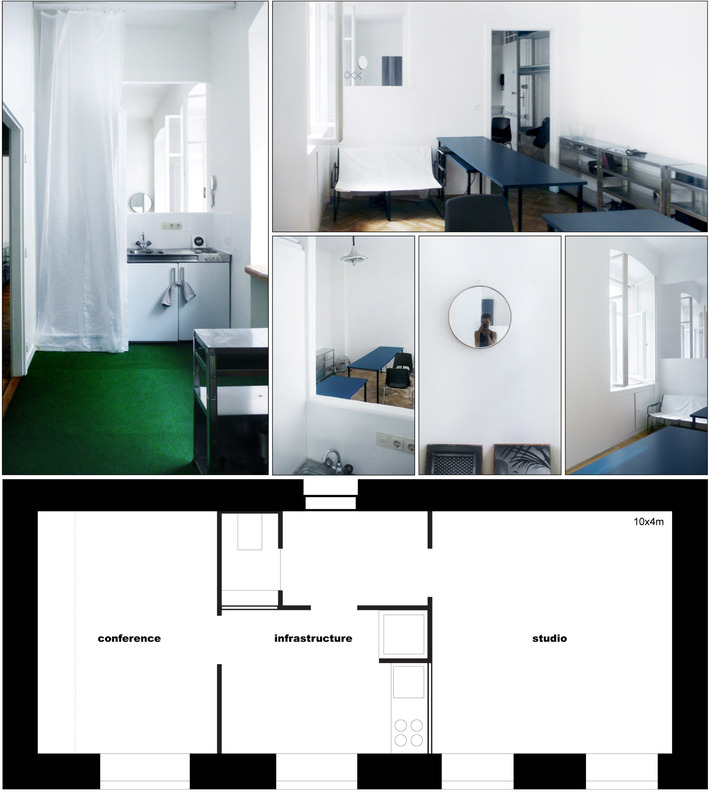 The Loft located a central position of Vienna consists of an infrastructure in the center, attached are a conference room/workshop/dark room and a studio. Between the studio and the Infrastructure zone we cut a hole through the wall, to ensure maximal spacial freedom and communication. To grant storage space, the depth of the wall was used to install closets under the windows. A Table-combination was produced, consisting of one 45x145cmx75cm and one 45 x 90 x 65cm Table – to be stacked on to each other using the lower table as a drawer or to be used as two for a square conference table. At all a compact solution for a minimal space with maximal spacial room was created.